I’m very pleased to announce that this week’s installment of Grave Thursday is the contribution of author and theatre historian, Dr. Thomas Bogar. 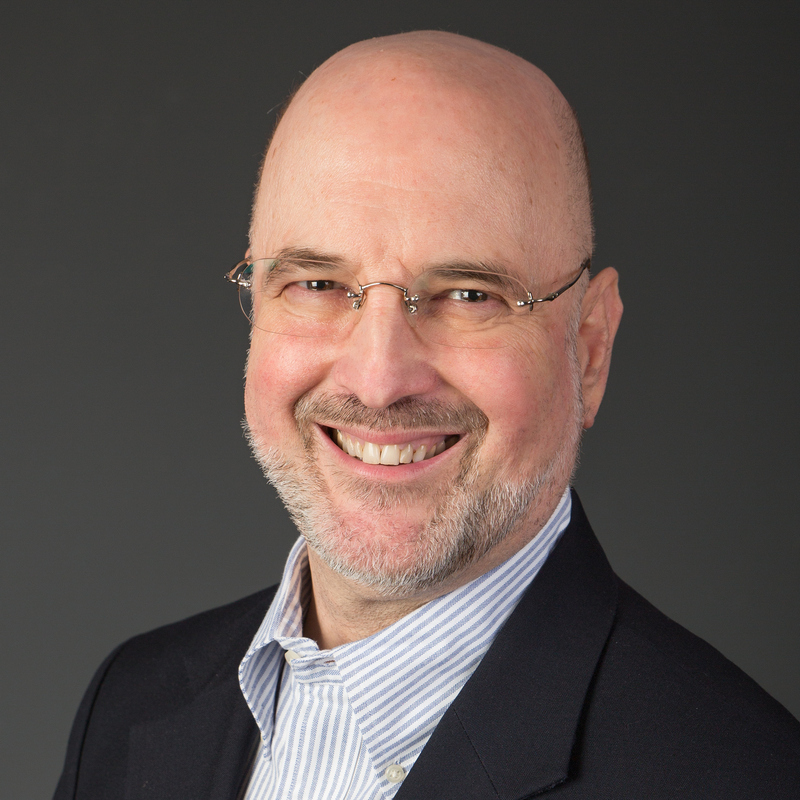 Dr. Bogar’s books include American Presidents Attend the Theatre and his most recent book Backstage at the Lincoln Assassination: The Untold Story of the Actors and Stagehands at Ford’s Theatre. 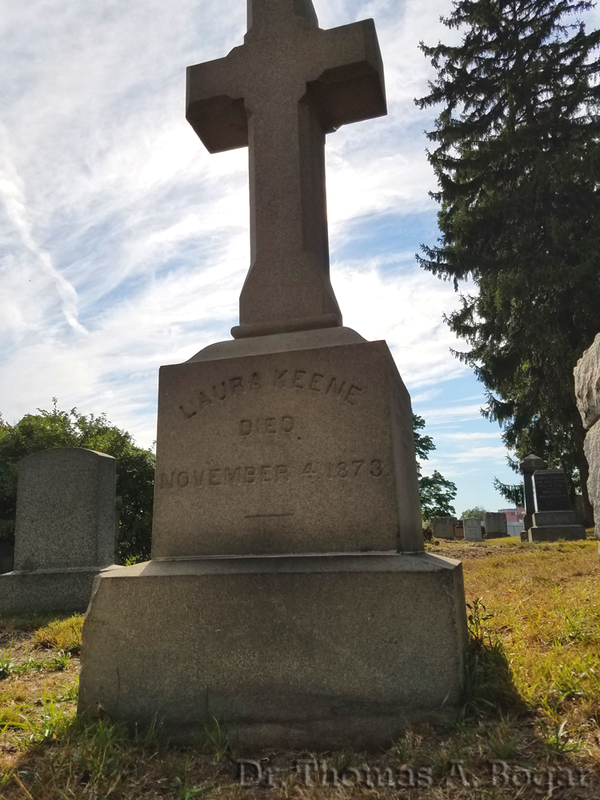 Dr. Bogar was kind enough to share his own picture of Laura Keene’s grave and write about her for this week’s entry. Laura Keene’s performance as Florence Trenchard in Our American Cousin was a major reason why President Lincoln chose to attend Ford’s Theatre on April 14, 1865. He enjoyed the play’s folksy humor and knew that night was to be Keene’s benefit. (He made it a point to attend such events whenever he could, to boost box office revenue for the chosen performer.) He had seen her act the year before and admired her acting. 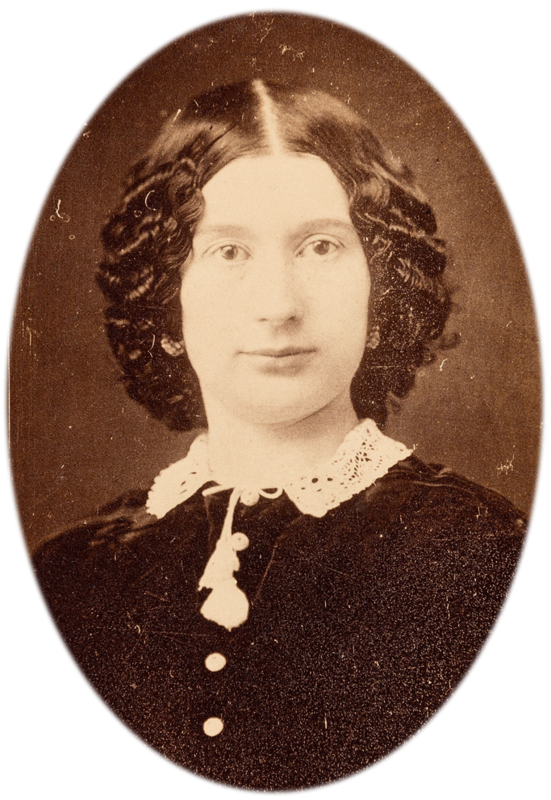 Born in England in 1826, Keene came to America under the aegis of manager James Wallack in 1852 and became an immediate success in witty, polite comedies that showcased her natural elegance and refinement. Her strongest assets were her large, dark, expressive eyes, slender, graceful figure, lustrous auburn hair, and melodious voice. In an era of overwhelmingly male manage­ment, she succeeded for nearly a decade (1854–1863) managing theatres in Baltimore, Philadelphia, and New York, compiling an admirable record of artistic and financial success. Her productions were noteworthy for their taste and attention to detail. 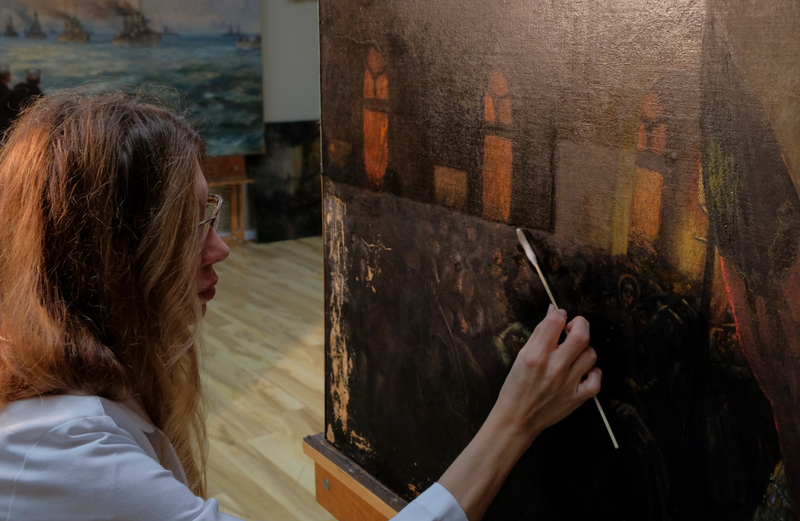 For more information about Laura Keene and the others working at Ford’s Theatre on the night of Lincoln’s assassination, please purchase your copy of Dr. Bogar’s book, Backstage at the Lincoln Assassination: The Untold Story of the Actors and Stagehands at Ford’s Theatre. The book is an amazing read and is filled with fascinating stories about the different employees and actors from America’s most (in)famous theater. My sincerest thanks go to Dr. Bogar for writing this post. 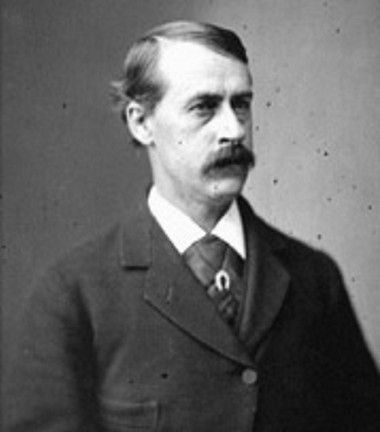 C. Dwight Hess was the manager and co-owner of the National Theatre in Washington D.C. The theater, also known as Grover’s Theater after Hess’ co-owner, Leonard Grover, was the main theatrical competitor of Ford’s Theatre in Washington City. As the manager of the National Theatre, Hess was very familiar with the actor turned assassin John Wilkes Booth. On April 13th, the day before Lincoln’s assassination, John Wilkes Booth paid a visit to the National Theatre where he found Hess running lines with the stage prompter George Wren. Booth barged into the office where Hess and Wren were speaking, sat himself down, and proceeded to converse with the two men. Hess and Wren broke from their rehearsal and entertained the young actor. 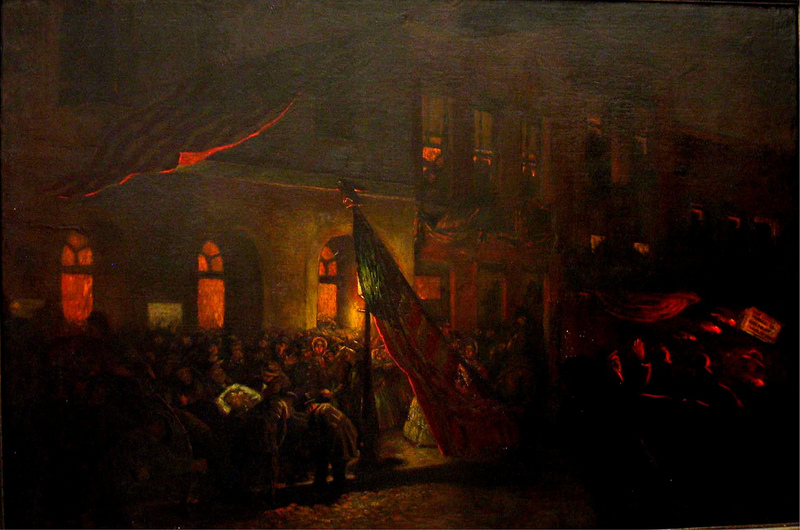 During the conversation, Booth inquired with Hess whether he was going to participate in the Grand Illumination planned for that evening. 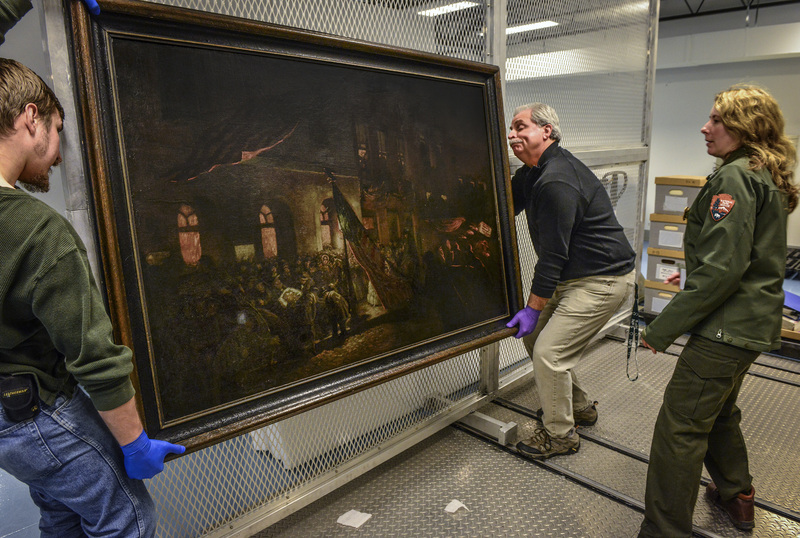 Hess replied in the affirmative but that he was saving his best material in order to illuminate the next night, Friday, April 14th, the anniversary of the fall of Fort Sumter. After mentioning his plan to illuminate on Friday night, Booth then asked Hess, “Ain’t you going to invite the President out?” Hess replied that, yes, he was hoping to invite the Lincolns and even thanked Booth for reminding him to do so. After a bit more conversation, Booth departed and both Wren and Hess would comment that they thought it odd that Booth would mention the President given his known dissatisfaction with the Union government. Hess was not aware that Booth was laying the groundwork for a possible assassination right inside Hess’ own theater. C. Dwight Hess did send along an invitation to Mrs. Lincoln, inviting her and her husband to his planned illumination on Friday and for the theater’s performance of Aladdin! or the Wonderful Lamp. 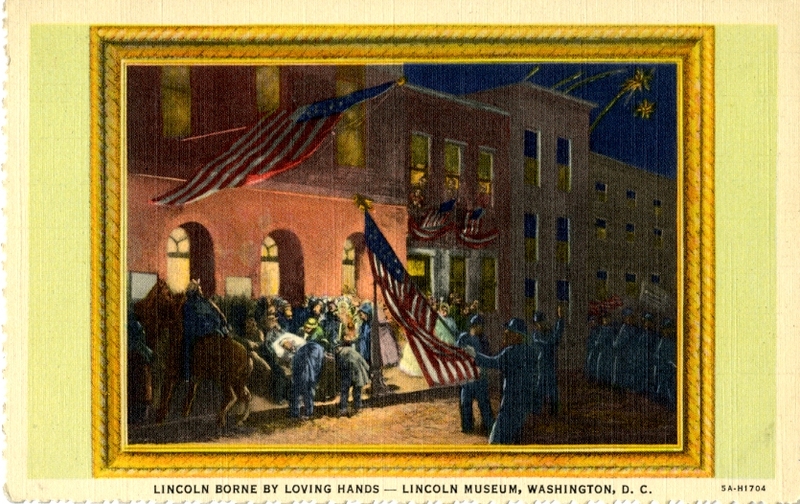 While Tad Lincoln would take up Hess’ offer, Mr. and Mrs. Lincoln would choose Ford’s Theatre for their entertainment on April 14th, and John Wilkes Booth’s plan would change venues because of it. Clarence Dwight Hess (who is also often recorded as Charles Dwight Hess) would later be a witness at the trial of the conspirators where he would testify about Booth’s visit to his theater on April 13th. After 1865, he continued in the theatrical business where he managed other theaters and even his own opera group which toured throughout Americas. 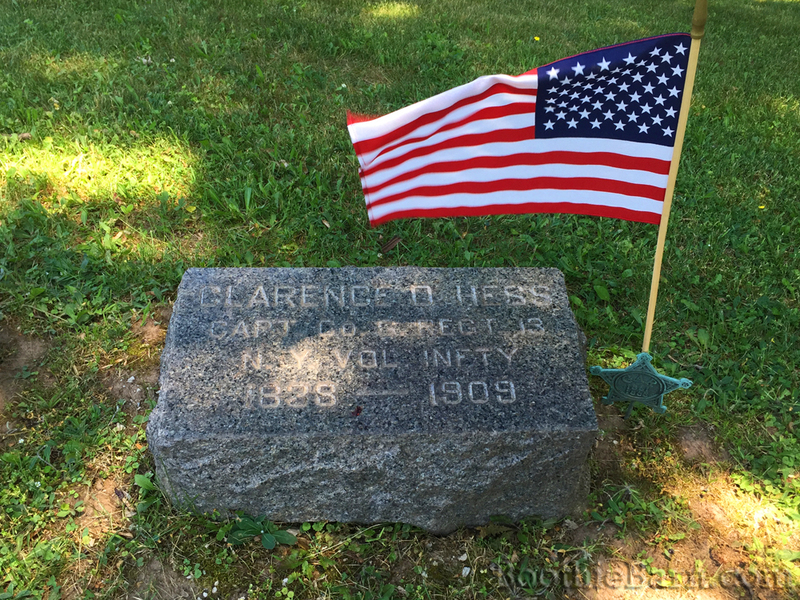 In his later years, Hess retired to a small farm near Westville, Indiana. When he died on February 15, 1909, he was buried at the Westville Cemetery. Check out the Maps page for more details. For more information about Grover’s National Theatre and its connections to the Lincoln assassination story read the Grover’s Theatre and the Lincoln Assassination post. 151 years ago tonight, President Abraham Lincoln was fatally shot by John Wilkes Booth. This singular event changed the course of American history forever. 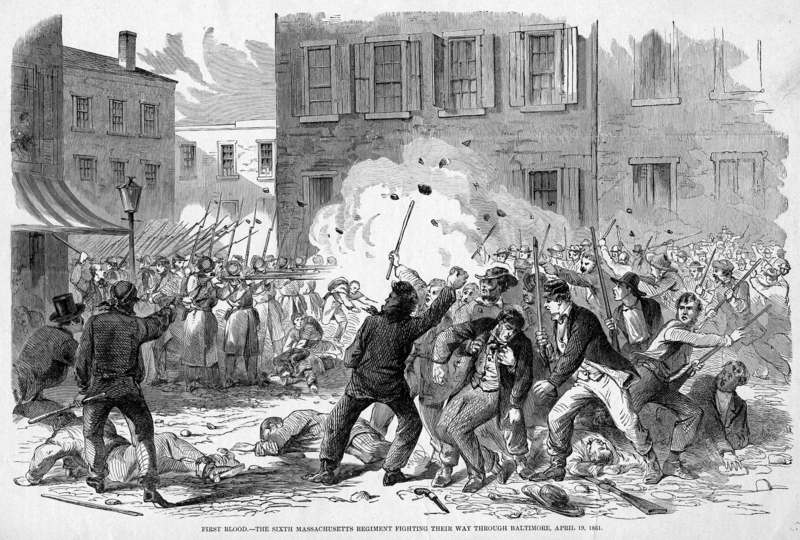 While this website provides research and insight regarding Lincoln’s assassination every day of the year, the anniversary of April 14th gives the knowledge contained here greater perspective. 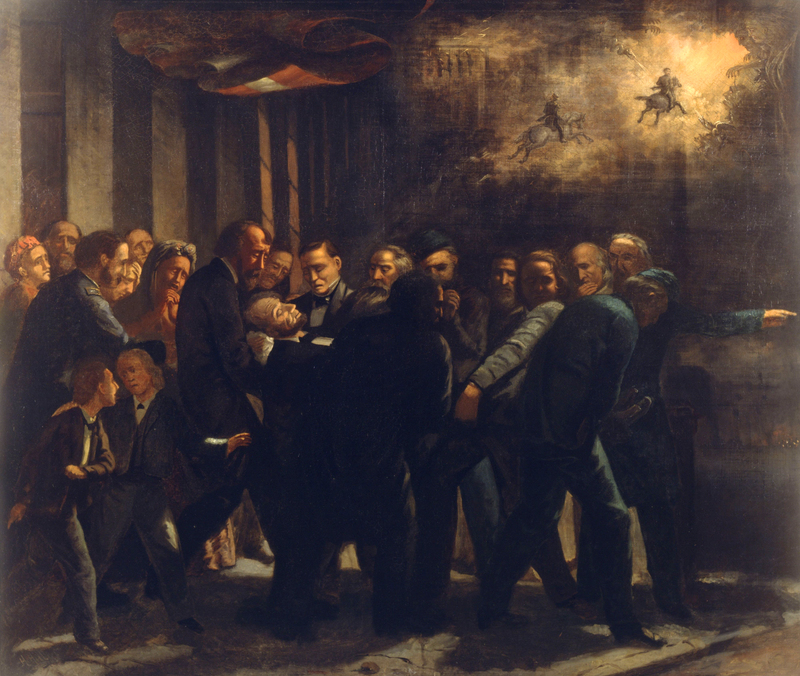 The reality of the event and its aftermath take on a renewed life when the clock marks the exact moment of the fatal gunshot or the final breath of the Great Emancipator. For those fleeting minutes and seconds, history is no longer this abstract idea. Rather, on exact anniversaries such as tonight, history is very much in the present. The events of the past travel through time and connect us all together, but, like an eclipse, the connection only lasts for the briefest of moments before the alignment is gone. I teach and learn about Lincoln’s assassination as a way to honor Lincoln, and though my methods often involved delving deeply into the lives of those who plotted his death, I do so with the hope that learning more about the men and women who caused this great national calamity might help me better appreciate and comprehend the complex nature of Lincoln’s life. In that moment though, I don’t see John Wilkes Booth in the shadows firing his gun. I don’t see an assassin releasing all of his hate and anger at an unarmed man. Instead, I see the joy and happiness in Abraham Lincoln’s eyes as reacts to the play with a deep and full laugh. The assassination of Abraham Lincoln is an event filled with horror and tragedy but for the briefest of seconds on its anniversary, I always see our 16th President, in his last moments, engaging in a well deserved laugh. Rest in Peace, Mr. Lincoln. As John Wilkes Booth was running from the authorities after assassinating President Abraham Lincoln, he carried with him a total of five carte-de-visite photographs. These photographs were placed safely in a wallet like pocket of Booth’s diary as he struggled through swamp and stream, darkness and dawn, for 12 long days. When Booth was finally cornered and killed on April 26, 1865, these photographs were removed from his dying body. A previous post highlighted how the process of identifying these ladies was a slow one that did not even commence until several years after the assassination. In the end, the women of Booth’s wallet were determined to be Lucy Hale, his fiancée, and four actress friends, Effie Germon, Helen Western, Fanny Brown, and Alice Gray. Though these actresses were each talented and respected during their careers, they have largely become footnotes to history. Their photographic presence on the body of the assassin has become the defining moment of their entire lives. For one of these actresses in particular, very little exists about her life outside of John Wilkes Booth. While Fanny Brown may have been dubbed “The Mysterious Beauty,” the truly mysterious and unknown beauty in Booth’s possession was Alice Gray. With so little known about Alice Gray, an in depth search was enacted to discover more about the life and career of this forgotten lady. The following biographical sketch was developed by consulting a variety of sources including digitized newspapers such as the Buffalo Courier, Baltimore Sun, New York Clipper and D.C.’s National Intelligencer. Further information was discovered using creative searches on Ancestry.com and in cemetery records. In all, it took several days’ worth of work to find and organize the material. This post is the first in a series about Alice Grey’s life, career, and connection to the Booth family. To read part two, Successful Partnerships click HERE. In order to find out about Alice Gray’s beginning, it was first necessary to look at her end. Initially, the only information found about her birth came from her later obituaries. According to most of the obituaries, Alice Gray was born in Boston in 1833 to Irish parents. The more detailed obituaries also stated that she commenced her acting career when she was 16 years old by performing in the Federal Street Theatre in Boston. Numerous genealogical searches were conducted with this information to try and find out more about Alice Gray’s family. All were fruitless until one final obituary contained the partially blurred name of a brother in Cincinnati. The brother’s true name was discovered by searching an old Cincinnati directory, which led to his burial record, which gave the incorrect name of his father (which wasted a lot of time looking for and led me back dejectedly to the brother’s burial record) and correct name of his mother, which led me to Alice’s mother, which led me to the true identity of Alice Gray. Alice Gray’s true name was Alice Dehan. According to census records, she was born in New York between June 16 – July 31, 1835. Her parents were Patrick and Ann Dehan who were both immigrants from Ireland. I have been unable to find a record of the family living in Boston, but in the 1870 census Alice’s brother John gives his birthplace as Boston. This is a contradiction to the 1850 and 1860 censuses which give his birthplace as New York, however. If the family did live in Boston, it was for a short time. By 1850, the family was living in Livingston County, New York, near Buffalo. Alice’s father, Patrick, was a laborer and likely worked on the expansion of the Erie Canal. Patrick died sometime between 1850 and 1860, leaving his wife and two children without a means of support. It appears that it was after the death of her father that Alice, then around 16 years of age, began her career as an actress. She chose the stage name of Alice Gray and would be billed as such for the rest of life. Since her family had settled near Buffalo, NY, it was appropriate for Alice to commence her career in that city. She was able to acquire a position at the recently opened Metropolitan Theatre. A theater historian in Buffalo later recalled, “When she came to the Metropolitan Theatre in 1851 or ’52, she could neither read nor write, but she was naturally bright and advanced rapidly.” Alice must have started with minor roles as her name did not receive billing very often in the early years. If she was learning the craft it is likely that she merely acted in walk on roles and silent characters. It was not until 1854, that Alice’s name began to make appearances in the advertisements for the Metropolitan Theatre performances. Over the next few years she stayed at the Metropolitan, honing her craft and receiving larger and larger roles. In 1856 she met and acted alongside a visiting star named Mr. Edward Eddy. 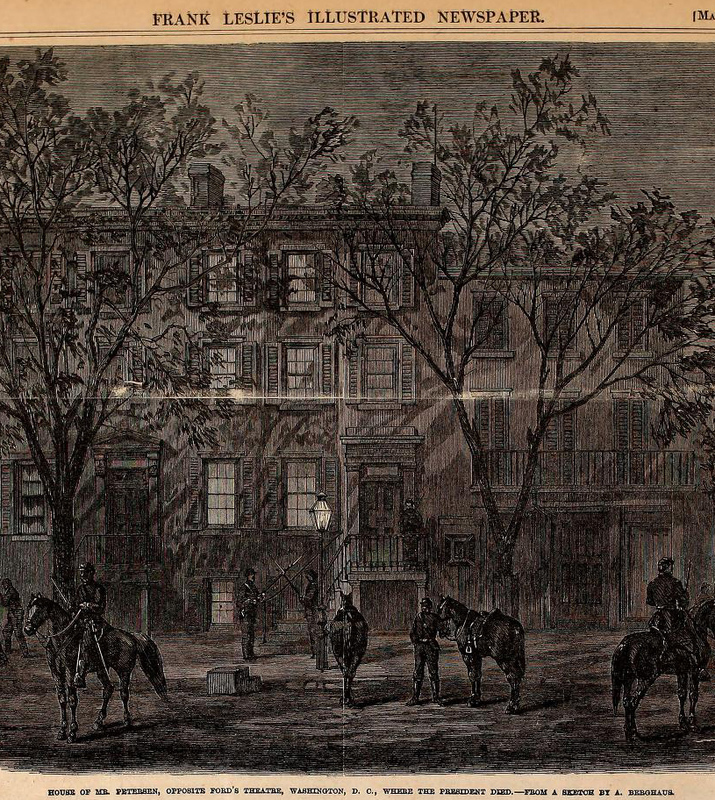 Though Eddy’s engagement at the Metropolitan was short, Gray made an impression on him. In the upcoming years, Eddy would keep in touch with Gray and provide her with further acting opportunities. By 1857, Alice Gray had graduated to the main stock actress for the Metropolitan Theatre, in which she was responsible for playing the leading female roles opposite the visiting stars. In November of 1857, a young, 24 year-old star billed as, “The Wonder of the Age” made his first appearance at the Metropolitan Theatre. 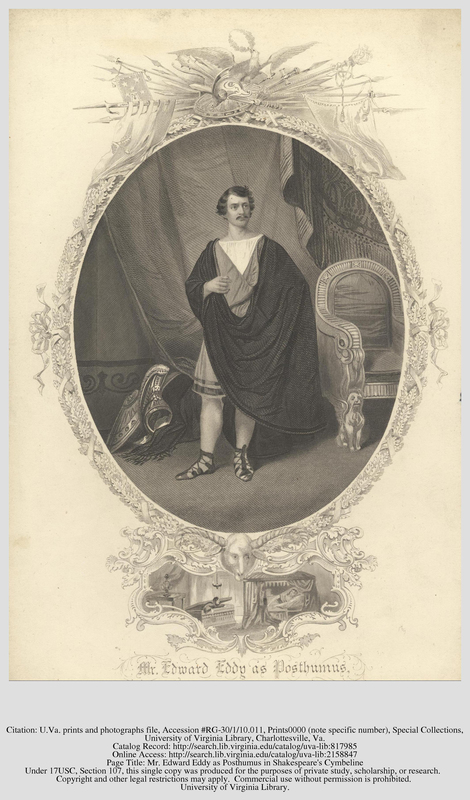 The noted star who was greeted with such fan fare was Edwin Booth. Though the weather was poor during Booth’s time in Buffalo, the theater was packed every night. This was not only good for Edwin, but also for Alice Gray who ably played alongside Booth as his female counterpart. The increased crowd at the Metropolitan allowed more of Buffalo’s theater patrons to see how much Alice Gray’s abilities had progressed over the last few years. These performances with a member off the Booth family would be the first of many for Alice Gray. In a few short years she would become extremely familiar with practically all acting members of the Booth family. Gray was undoubtedly becoming a better actress, but had not yet achieved the talent of a star. She continued with the Metropolitan Theatre for the remainder of the 1857-1858 season with a small break in March of 1858 where she performed briefly at the Bowery Theatre in New York City. At that time, the Bowery Theatre was being leased by her friend Edward Eddy. The chance to act in New York City and possibly become a star performer on those elite stages was the dream of many actresses. While Alice Gray acted ably alongside Eddy and even received a benefit in her honor one night, once Eddy was finished leasing out the Bowery Theatre, Gray’s first foray in New York City was over. While she had not been “discovered” by the New York City patrons, this experience would help her in the future. She returned home to Buffalo. As reported, Alice Gray had apparently made some enemies in the Buffalo theatrical world. The business then was just as cut-throat as it is today (if not more so). Perhaps the other actresses were jealous of Gray’s recent debut in New York City due to the generosity and assistance of Edward Eddy. Whatever the reason, the scheme against Alice Gray worked as planned. Whether by her own choice or the decision of the manager, Gray did not appear at the Metropolitan Theatre for the rest of the 1858 season. Coincidentally, she was replaced at first with “Mrs. J. B. Booth”. This was Clementina DeBar Booth, the first wife of Junius Brutus Booth, Jr. Though Mr. and Mrs. Booth were divorced due to Junius running off to California with another woman in 1851, Clementina kept the name and used it professionally. Not long after this, the gossip reported in the above article came to fruition when the manager of the Metropolitan Theatre had his own wife take over some of the main female roles. After being shunned from the Metropolitan Theatre, Alice Gray made her way back to New York City, where she had briefly performed in March. At that point, her friend Edward Eddy had leased the Broadway Theatre for the season. Though the season had already begun and Eddy already had his stock company, he hired Alice Gray. She acted at the Broadway Theatre with the rest of the stock actors until the end of the season. She received very little press during her time at the Broadway Theatre and without good press and attention, it was practically impossible for a supernumerary to make it as a star. During the next season, Alice began to travel outside her home state of New York, perhaps hoping that good word of mouth from audiences in smaller cities would help her establish herself the next time she acted in New York City. The beginning of the 1859 season found Alice in Charleston, South Carolina. She was the lead stock actress for the Charleston Theatre, an establishment which promised its public a diverse selection of entertainment. The theatrical portion of the season only lasted until November 12, 1859, which was a benefit performance for Henry B. Phillips, a Charleston native. Phillips was a well known actor who had toured the eastern states. He was also known for helping to coach novice actors and teach them the proper points and recitations. In a few short years, H.B. Phillips would be hired by John T. Ford to be the acting manager of Ford’s Theatre in Washington, D.C. In that capacity, Phillips sole job would be to train inexperienced actors on how not to make fools of themselves. For his benefit performance, Phillips choose two pieces, The Poor Gentleman, in which Alice Gray was billed as his leading lady, and the very popular comedy of the day, Our American Cousin. This would be Alice Gray’s first experience with the play, Our American Cousin, but, due to the events connected with it in the future, this performance would hardly be the most memorable. After the Phillips’ benefit in Charleston, the whole theatrical company traveled to Mobile, Alabama. In the mean time, the Charleston Theatre opened to an opera troupe while advertising its next, diverse entertainment offering to the public, stating that a “troupe of learned monkeys, goats, and dogs, will present themselves,” in the week to come. The company stayed in Mobile until late March of 1860, when the Charleston Theatre reopened (hopefully after they cleaned up the mess from the “learned” monkeys, goats, and dogs) for theatrical events. The headlining star for the reopening was none other than Edwin Booth. Though there were no advertisements billing him as the “The Wonder of the Age” as there were in Buffalo more than two years ago, he was nevertheless warmly welcomed by the Charleston public. Booth played at the Charleston Theatre until April 4th, likely teaming up once again with Alice Gray as his leading lady. Not long after his departure, however, Alice became sick. An article in the April 14th edition of the New York Clipper reported that Alice had “been quite ill” and “confined to her room for more than a week”. She recovered from her illness and finished up the rest of the season in Charleston but this would not be the first time that illness and other personal matters would preclude Alice from performing. As Alice Gray performed as a star in Cleveland, back home in Buffalo the census taker was knocking at her mother’s door for the 1860 census. Despite her almost year long absence in the South and Midwest, Alice’s mother included her daughter as a member of the household. Ann Dehan gave the census taker her daughter’s real name, Alice Dehan, and set in stone what she was going to be for the rest of her life: a “Theater Actress”. This concludes part one of the series about Alice Gray’s life, career and connection to the Booth family. To read the second installment, “Successful Partnerships,” click HERE.